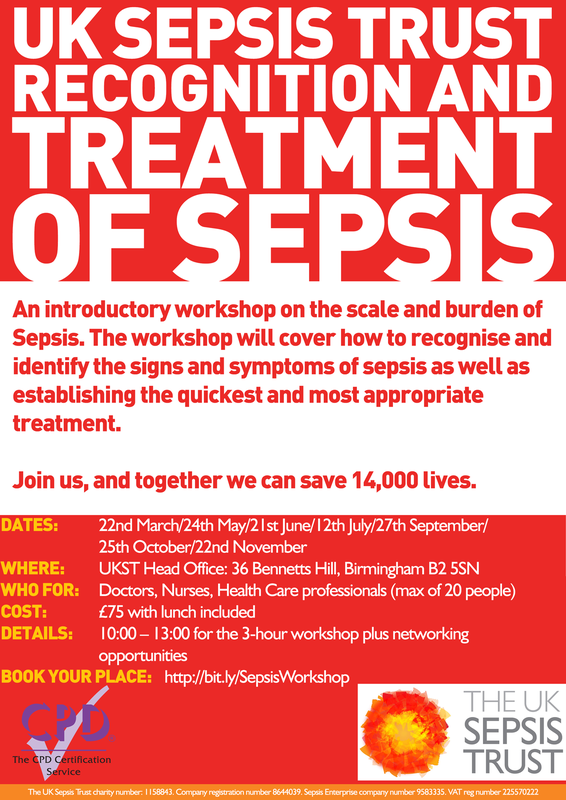 Throughout the year, we offer special ‘Recognition and treatment of sepsis’ workshops and networking events. Held at our headquarters in Birmingham, these are perfect for doctors, nurses and other healthcare professionals. Sign up today and learn how to recognise the signs and symptoms of sepsis, and how to administer the most appropriate treatments. If you are interested in attending one of our workshops, please visit our online store. This course looks at the recognition and effective management of sepsis, using assessment and clinical recommendations. To discuss in detail how the delivery of the sepsis 6 within one hour is one of the most effective life-saving treatments in medicine. Upon completion of the course you will receive 3 hours RCN accreditation. The aim of this course is to ensure attendees have a basic understanding of to how to manage sepsis, and how to conduct good patient care.